“What have they got, a lot of sand? We’ve got a hot crustacean band! 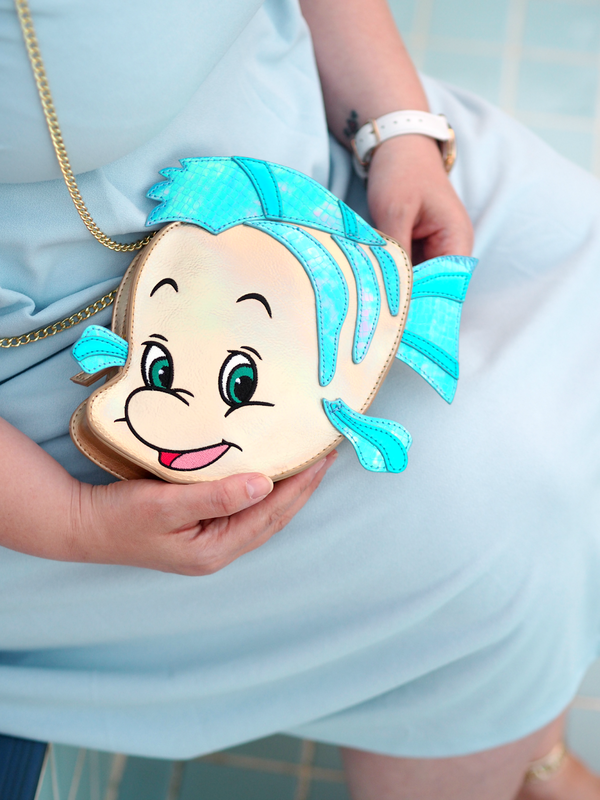 Darling it’s better, down where it’s wetter, take it from me..” I may be in my mid thirties, but one of my all time favourite films is still The Little Mermaid. There’s something about the soundtrack, the daydreaming and the bold characters that has stuck with me over the last twenty years; it still puts a massive smile on my face and reminds me of those carefree days being a kid of the 90’s. Disney really is timeless, so why should we stop loving it when we’re old enough to get wrinkles and apply for mortgages? 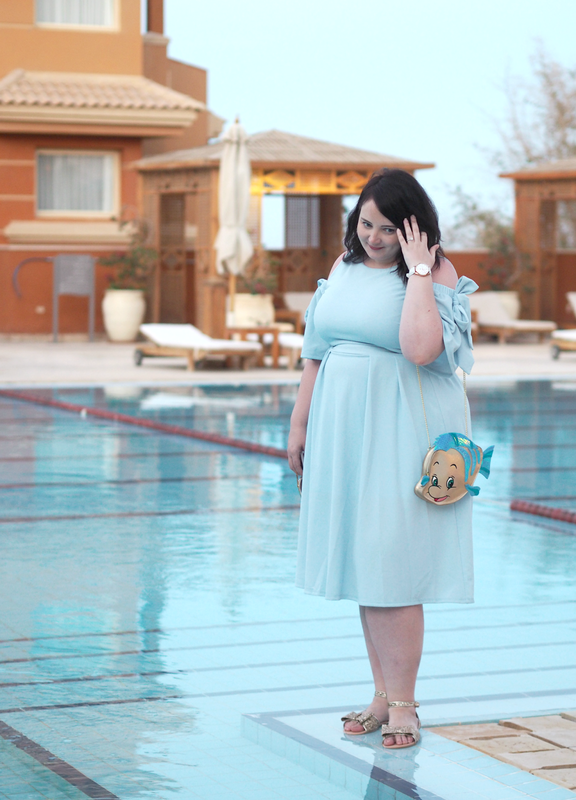 You may have seen on my Instagram that I was fortunate enough to visit the incredible Soma Bay resort in Egypt recently, which is located on the coast of the Red Sea; this tropical location (and promise of snorkeling) was enough for me to buy a bag that was more than suitable for the adventure, and to build an outfit around it. 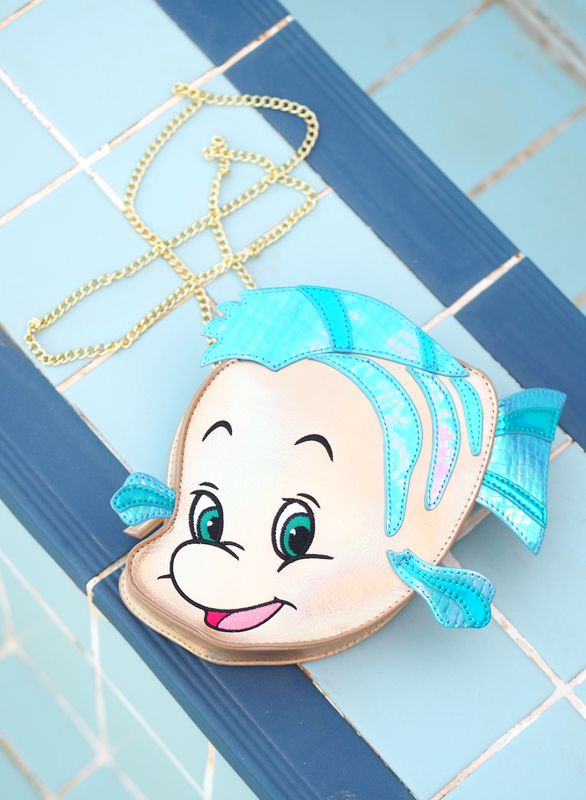 I’d seen the collaboration between Danielle Nicole and Disney on my Instagram feed, so knowing I was jetting off to spend five days by tropical waters was enough of an excuse to add this gorgeous Flounder bag to my basket and await its arrival. I hadn’t heard of Danielle Nicole before, but she offers an amazing array of affordable and exciting pieces of arm candy that are hard to resist. 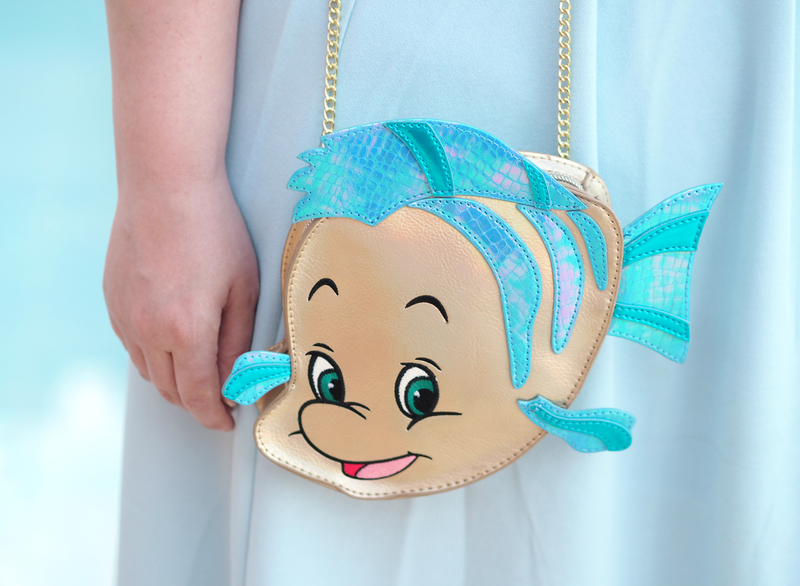 The Flounder bag is such great quality and has enough room for all my essentials, bringing to life the character we all know and love without it feeling like a tacky piece of kids fashion we’ve picked up in the Disney store; it’s been created for us adults that love the Disney life as much as the kids. It got such a reaction and, rather randomly, goes with pretty much everything in my summer wardrobe! Although I got this shipped over from the US (at rather huge expense after customs fees,) I’ve now typically seen that you can grab it on QVC if you fancy it. 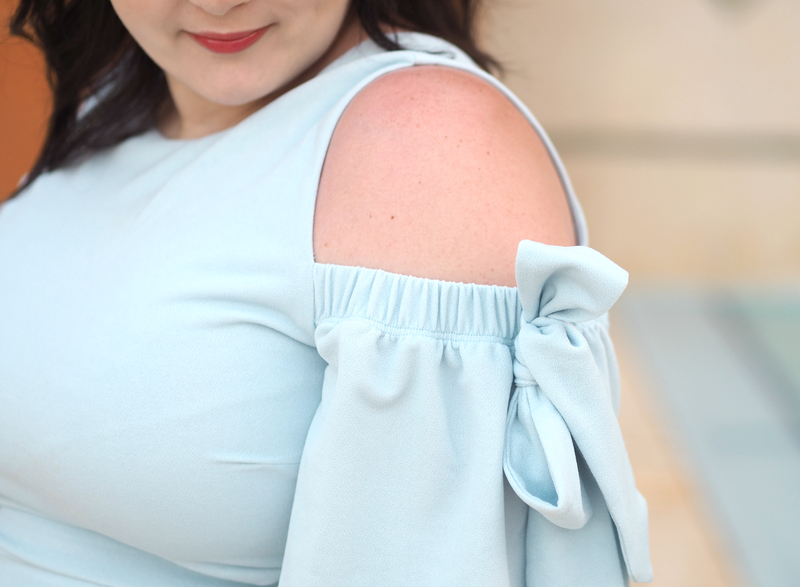 I’ve really been embracing the cold shoulder trend these past few months, especially as it’s a perfect way for me to cover up my ever-emerging bingo wings that seem to have appeared from nowhere since I’ve hit my thirties. They show enough skin to be sassy and on-trend, but cover you up in the places a lot of us feel least confident. 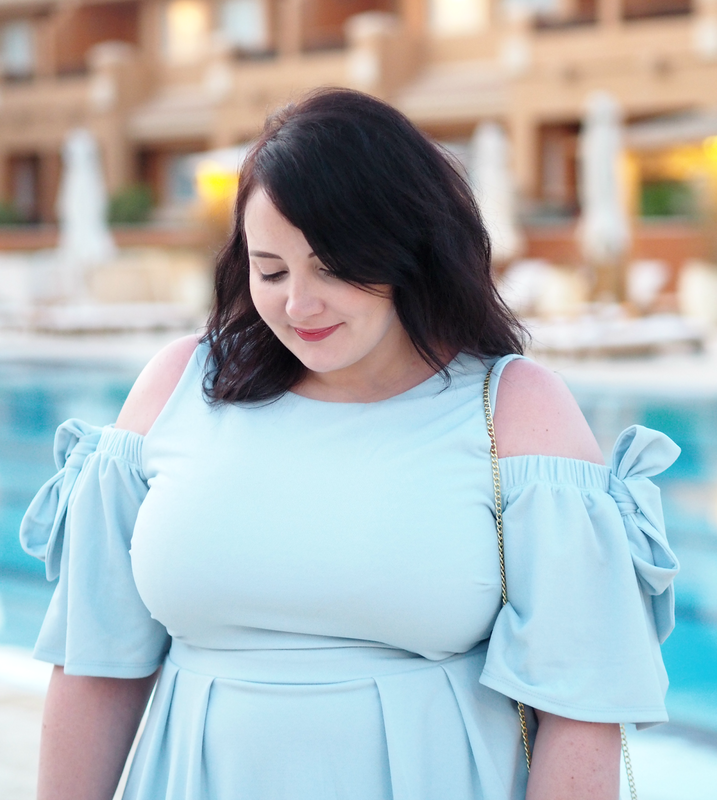 This dress from ASOS is cool and light, whilst still ensuring you feel covered up enough for everything from low-key lunch dates to a big night on the town. It’s actually a skirt and a top that’s sewn together at the front (I would’ve preferred it to have a full back,) which means it needs a touch of maneuvering throughout the night, but it’s actually really flattering if you’ve got a big booty like myself. I adore the giant tie details too, just to add something a bit different to an otherwise quite simple silhouette. I spotted these on George from Fuller Figure Bust‘s Instagram and knew instantly I had to have them. At only £14.00 it was hard to say no, especially as they make such a statement while being so comfy. I wore them every evening while in Soma Bay (so expect to see them in future blog posts!) and never tired of looking down at my tootsies. Although I was tempted to save them for my wedding and wear them in the evening as dancing shoes (that may still happen,) I’m glad I got them out and started to enjoy the glitzy sparkles they have to offer. Who says flats can’t be evening appropriate? Historically I’ve been a bit of a sunglasses snob (my collection includes everything from Prada and Tom Ford, to Chanel and Miu Miu) but this year I’m thoroughly embracing the budget brands as a way to update my look, without having to worry if I’m going to scratch a lens. 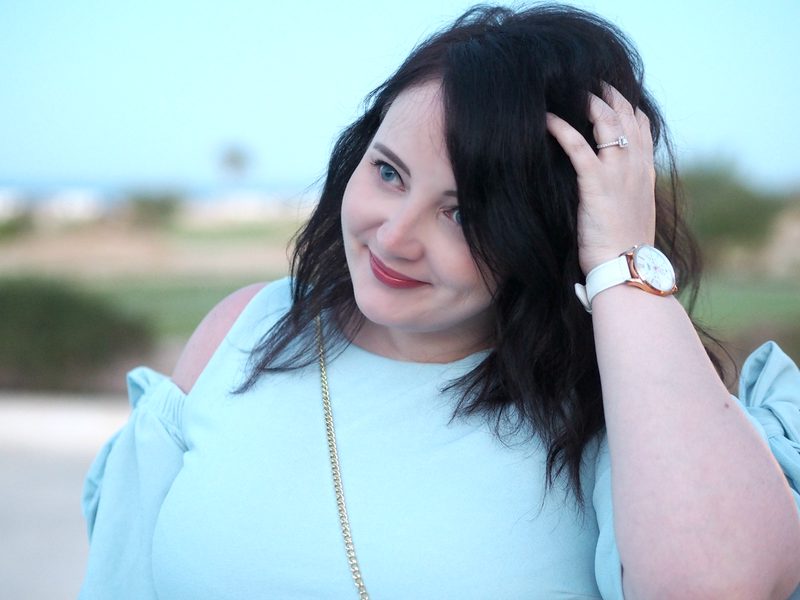 My favourite places right now include ASOS, Monki, TK Maxx and Quay, but Primark also have a stonking range that starts at only a quid! 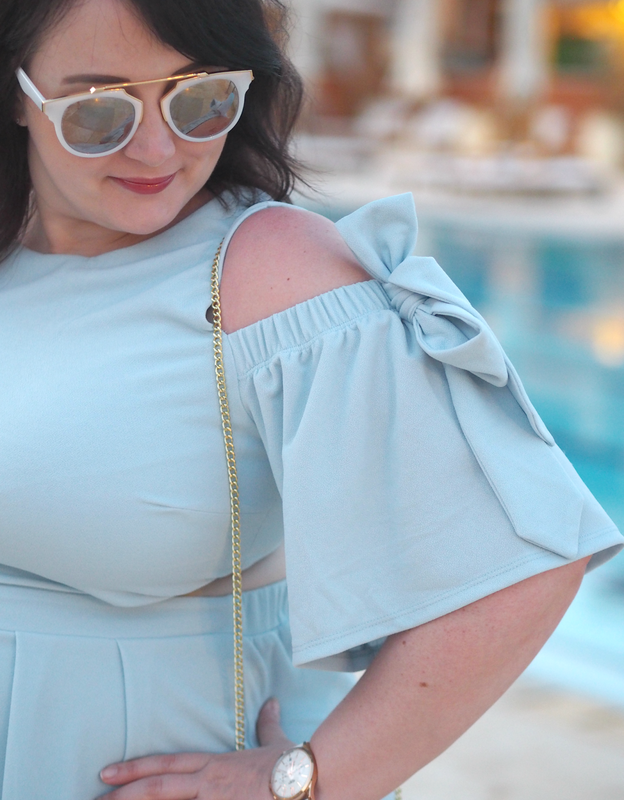 These white brow-bar sunnies were only £3.00 and definitely felt a lot more pricey; I didn’t have to worry about chucking them in my beach bag or losing them by the pool, but they still gave my outfit a certain je ne sais quoi. I would thoroughly recommend popping in and stocking up before you go away, leaving your expensive frames at home where you can treat them with a touch more care and attention. 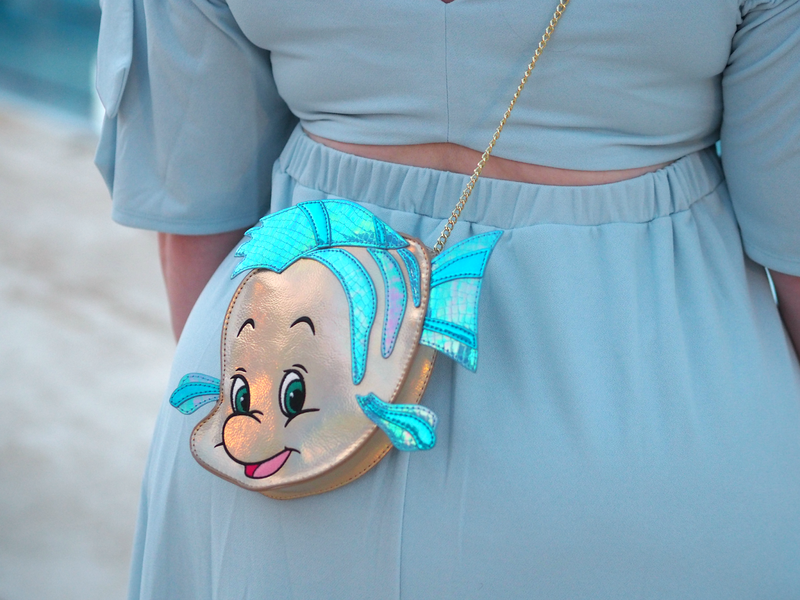 Little Marmaid!!!! My fave forever – I truly hope my doughter will share this with me when she is a little bit older! !